For those of us blessed enough to have a piece of ground that was owned by our ancestors from generations ago, it's a strange feeling to think about working and managing the same ground that they once called their own. The Keith family farm was in the family name during the late 1880's but took a strange turn in 1892 for an almost unbelievable trade. To consider what the price of real estate was back them is truly remarkable. 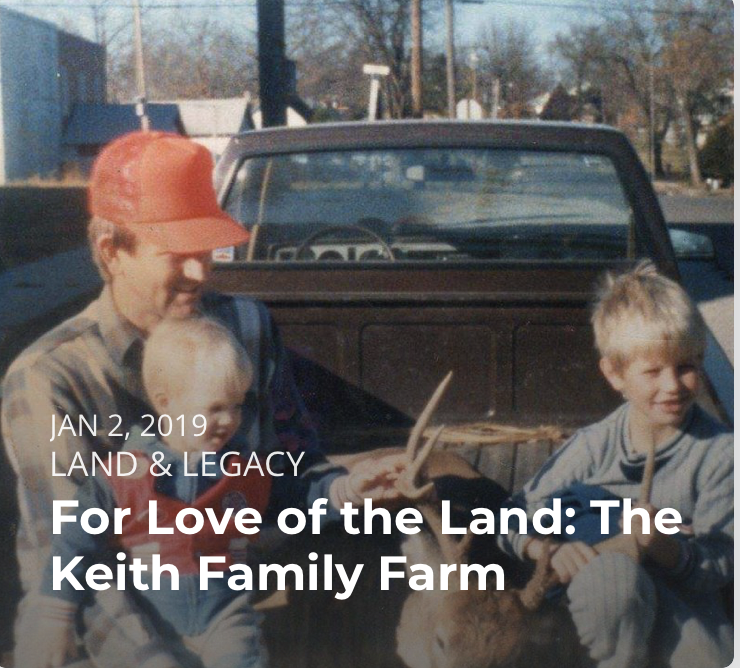 Thankfully, the farm was reunited with Adam's grandpa in 1952 and has been in the Keith name ever since. What're your goals as a land owner? Maybe you're not a landowner yet but have dreams of doing so! There is something very special when you understand the meaning of heritage and legacy and land ownership. Sit back and enjoy, as Adam and his brother Chad discuss their family farm.